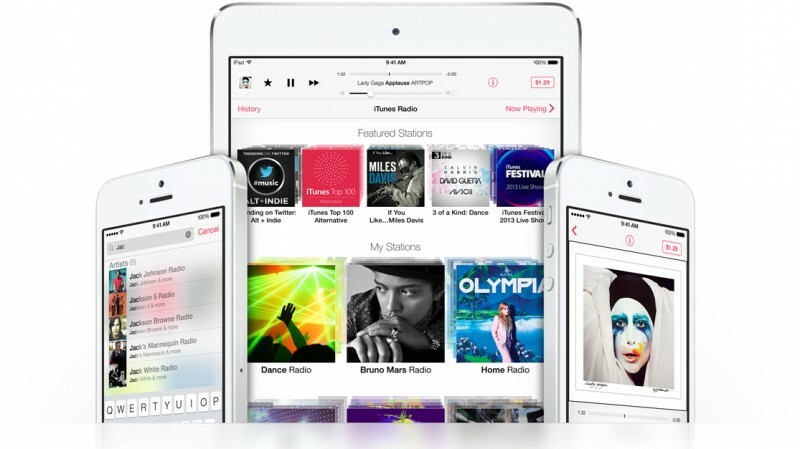 Following a lengthy lawsuit that pitted Sirius XM Radio against members of classic rock band The Turtles in a fight over royalties for music recordings made before 1972, new class action lawsuits have been filed against Apple, Sony, Google, and Rdio over their streaming music services (via The Recorder). As noted by Law360, Beats Music has also been hit with a suit. According to the suits, filed yesterday by Zenbu Magazines Inc., streaming services like iTunes Radio, Beats, and Google Play Music have been making money off of pre-1972 music recordings without paying any royalties to the owners of the original recordings. Zenbu owns the copyrights to many songs in question and is represented by The Law Office of Jack Fitzgerald in San Diego. The lawsuit seeks to create a certified "class of all owners of recordings made before February 15, 1972, whose recordings appear on streaming services." While musical compositions have been protected under U.S. copyright law since 1831, sound recordings were only added to the federal copyright act in 1972. That's meant that the holders of copyrights to pre-1972 compositions—largely music publishers—have been paid royalties for public performances while those holding the copyrights to recordings—largely record labels—have not. As noted by The Recorder, last year a judge in Los Angeles decided to extend ownership rights for pre-1972 recordings to include public performances. Similarly, in that case of Sirius XM versus owners of the sound recordings made by The Turtles in the 1960s, U.S. District Judge Philip Gutierrez ruled against Sirius. The lawsuits come at a time when Apple is working behind the scenes for an upcoming relaunch of the Beats Music streaming service, rumored to include integration into iTunes and iOS in general. "The streaming services don't have a good idea of what their total liability is going to be," noted Santa Clara law professor Tyler Ochoa, with the lawsuits against the numerous streaming music services "inevitable", following the Sirius XM case. Due to the growing popularity of streaming services worldwide, Ochoa sees some of the companies perhaps pulling those pre-1972 songs to avoid further liability, with record labels falling in line with their own lawsuits against the services for better royalty deals. I would be sad, if music before 1972 would be left out in the future! But that would be hard to imagine: e.g. the entire Beatles catalogue! My thoughts about music made before 1972, though, is that recording equipment was pretty horrible. I can't stand listening to anything recorded before the mid 80's, and even as late as '02 some artists were still using horrible equipment to record. That's all a very personal opinion. Personally, I have a very hard time listening to modern day, all electronic music, especially on headphones. Horrible, at least to my ears! I'd prefer lo-fi sixties recordings of real instruments with tape hiss and all, any time. Are you serious? You should listen to some gold old Blue Note recordings, for starters, or Muddy Waters' simply INCREDIBLE sounding album "The Folk Singer" (with a nice equipment it sounds as if he's playing next to you in your living room), and discover how they put almost everything recorded to day to shame, especially in times of the loudness war. The original length of copyright in the United States was 14 years (http://en.wikipedia.org/wiki/Copyright), and it had to be explicitly applied for. If the author wished, they could apply for a second 14‑year monopoly grant, but after that the work entered the public domain, so it could be used and built upon by others. Now it's been extended so many times that copyrights now last almost as much as the average life span in modern countries and the fact that works should be public domain after the copyright period is over is something that most people don't even know about. The USA has rules around date of publication that bestow copyright for 95 or 120 years and those lengths have been growing as fast as time has passed. Projecting forward corporate assets like movies will likely receive infinite copyright protection. It keeps growing, because Disney has enough Congressmen in their pocket. Copyright terms always seem to get extended, just before their copyright on Mickey Mouse is about to expire. In Canada copyright is now life of the author plus 50 years. In the UK and USA it's life plus 70. I think copyright should be based solely on public release. If you never make it public then it's the property of you and your heirs forever. The moment you exhibit or sell your work the clock starts ticking and you've got X years to make something from it. Whether you're alive or dead when that X years is up should be irrelevant. I think X should be approximately 40 years, but I'm willing to listen to reasons why it should be longer/shorter. Copyright should last for the lifespan of the author... At least. When it is in the 'public domain' people will then start using it to make a profit, without returning anything back to the person that created it. It's only fair that as long as they're alive they should receive some recognition for their work. The exception to this would by movies, which have dozens of investors and creators and cost tens of millions of dollars to make. Then a specific period (say, 50 years) should be in effect. Given that it takes most films 20+ years to make a profit (if they ever do), that gives them a reasonable period to make money and would likely cover the lifespan of most of the creators. If they have to pay royalties moving forward I think the streaming service providers will be able to adjust and keep moving along. If they have to pay royalties retroactively I think it will be messy and some of the providers will emerge from the mess better than others. I have approximately 13,000 music tracks in my library. Roughly 8% are 1972 or earlier. A few of my all-time favorites are from that era. If it came to be that older tracks were no longer streamed (lately I'm mostly using iTunes Radio) it wouldn't ruin the experience, but I do think I would notice the absence of certain familiar and popular tracks. I anticipate money will change hands and this will eventually get sorted out. Federal copyright law did not include sound recordings within the definition of "works of authorship" subject to copyright until the Sound Recording Act of 1971. All sound recordings created before February 15, 1972 were protected, if at all, under the state law where the sound recording was recorded. Most of the commercially successful ones were recorded in California. So the issue is how California's law addresses those recordings. Yes, and the person I was replying to said that copyright should only last for 10 years. If a person creates and original work, then they own it. They should continue to own it until they die, then it should become public domain. i spent the last two years writing a book. My wife had to work two jobs to keep the family alive, because I had no income. The book company tells me they will sell millions, due to my enormous talent, so all the hard work will pay off. Just before it is released, I'm hit by a bus. Now give me a reasonable argument why my family should starve. Give me a reasonable argument why this woman's http://www.people.com/article/86-woman-romance-novel-author book should have a much shorter copyright duration than that of a younger author. Personally, I cannot see why the copyright duration should have anything to do with the lifespan of an author. As an example, I just recently read about a book that was half finished when the author found out that his throat cancer had returned, and he found someone else to complete it. So how long should the copyright be if the guy dies (and I sincerely hope he doesn't), with two authors? And why should his family get extra punishment on top by having their income disappear at a time when they need it most? I'd say the only reasonable thing is time of publication, plus X years, and we can argue all day long what the number X should be. If Steve Jobs had written his own biography, why should the copyright run out before Isaacson's Jobs biography? If they were published on the same day, copyright should run out on the same day. I'm unclear...someone has been listening to the Turtles on iTunes?